More interesting ones to come in Part 9!…. 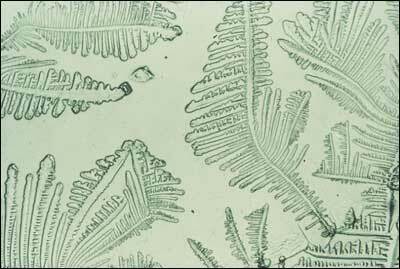 During ovulation, when the cervica mucus is collected on the glass slide and allowed to dry, a pattern forms that resembles the fronds of fern, when observed under microscope. This is called fern test. One of the important diagnostic criteria for ovulation. The ferning pattern occurs because when estrogen levels peak the amount of salinity in mucus also increases which crystallizes on drying. They are classically found in association with IgA myelomas. The characteristic staining feature of flaming is due to high carbohydrate content of IgA molecules. Church spire Pattern ( source ) SPIRE is a tapering conical or pyramidal structure on the top of a building or a church towerThe epidermal changes with hyperkeratosis, acanthosis, low papillomatosis resemble that of church spires. 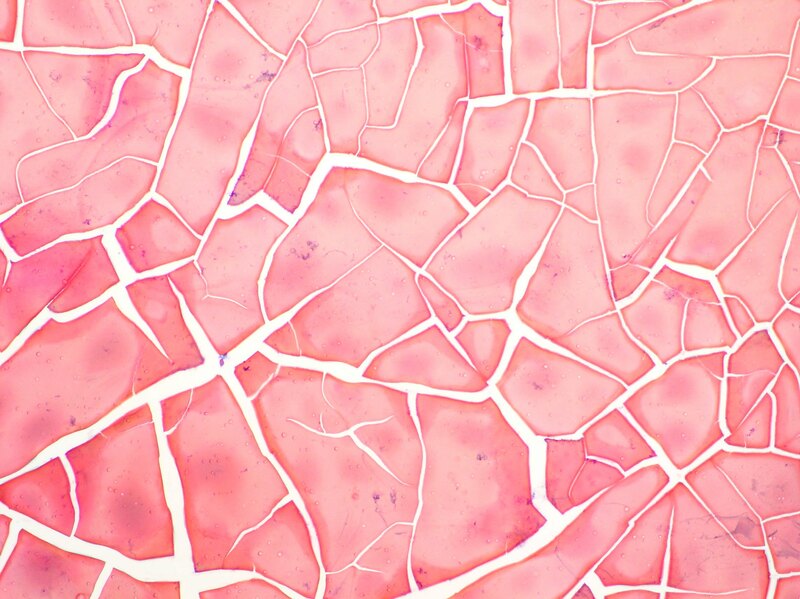 The features are monomorphous appearing basaloid islands, thickened eosinophilic basement membrane surrounding the lobules and a jigsaw puzzle-like pattern of growth and eosinophilic hyaline-like globules. Also referred to as crazy pavement pattern. Cerebriform nuclei in T cell Leukemia/LymphomaOn histopathological examination of lymphnodes in T cell lymphoma, shows a diffuse proliferation of atypical medium-sized to large lymphoid cells with irregular nuclei, intermingled with cerebriform giant cells where the nuclei resembles that of a cerebrum, and hence the name. 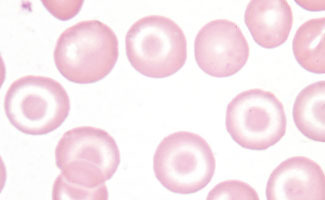 Target cells ( Source ) Target cells : red blood cells that have the appearance of a shooting target with a bullseye.Also referred to as codocytes or Mexican hat cells. Found in Thalassemias, post splenectomy, hemoglobin C disease and in some liver diseases. 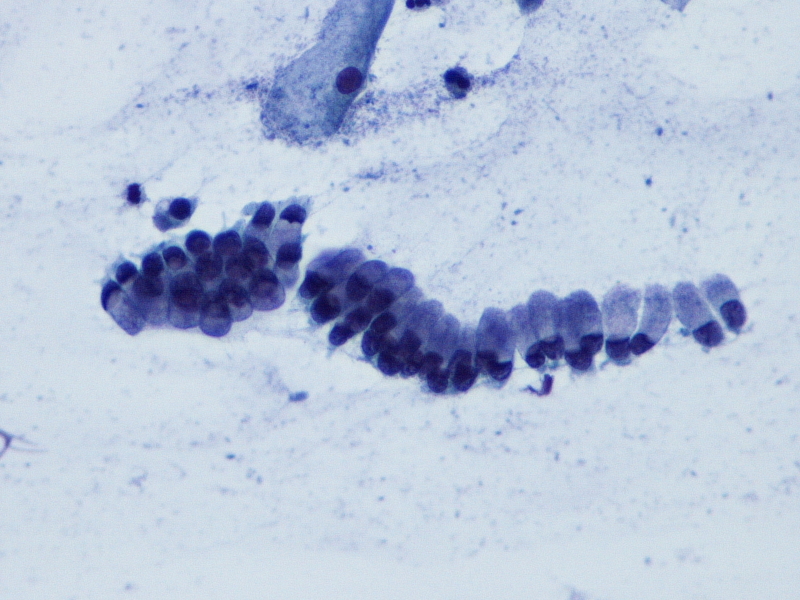 Ghost Cells in pilomatrixoma ( source ) Ghost cells in Pilomatricoma. Seen in pilomatricomas, calcifying cystic odontogenic tumor and craniopharyngiomas.